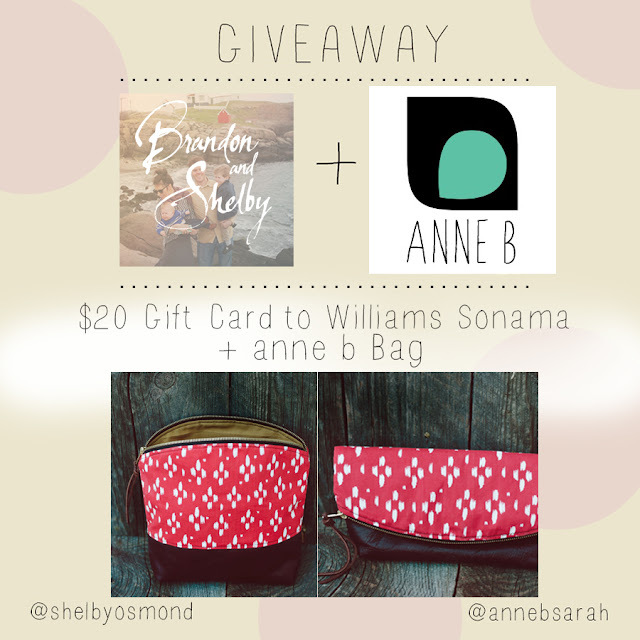 Since Mother's Day is just around the corner, anne b and I have created a fun giveaway for all those mothers out there! anne b is a little shop I really do love. The owner of the shop is Sarah and I knew Sarah way back in my single life, as we were in the same ward in our apartment complex. Sarah has a big heart that is full of service. In fact, on Mothers Day she is flying out to Africa with HELP International to do some service with the people there. She is a very inspirational person, and it shows in her blog and her products. Her products have taken fire as she's been featured on brickyard buffalo, andruby, RAD, and many more online shops and boutiques. With that said, Sarah is great and allowing one of you a chance to win your own Anne b! This bag was made with a vintage woman shirt and it's the only one of its kind. As if that's not enough, you will also get a $20 gift card to Williams-Sonama. (such a beautiful store). So enter below and check out her stuff! Good luck!